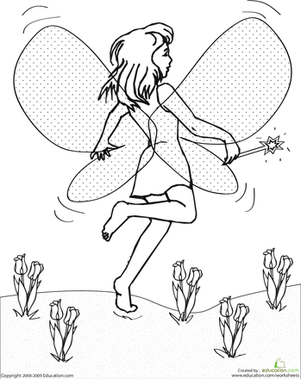 It looks like a pretty picture of a girl sitting among the flowers, but this fairy is missing her wings! 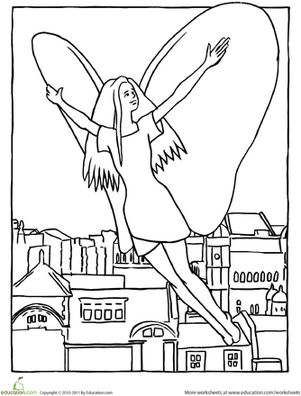 Let your child color in the picture, then she can draw in a set of translucent wings—butterfly wings, dragonfly, it's all up to her imagination. 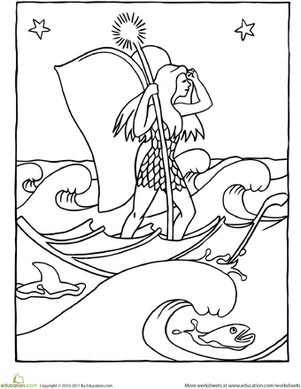 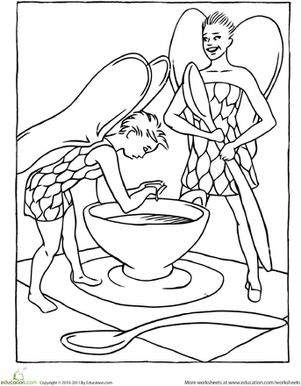 Or, let her draw wings first and she can practice coloring overlapping objects. 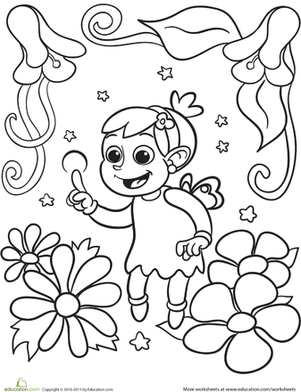 Tip: Show your child pictures of different butterflies or flying insects to give her inspiration on designs. 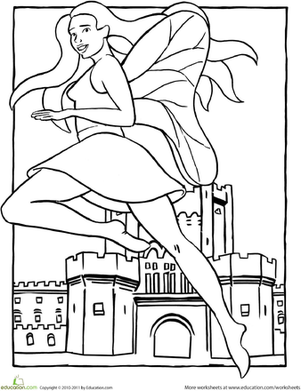 Your child will have a blast coloring in this soccer-playing fairy. 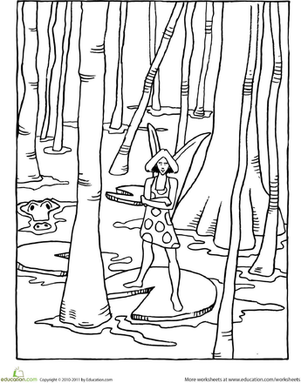 Have her color in the fairy's wings to mimic a soccer ball's pattern.